Le Carriage House 1000 pieds carrés offre deux chambres séparées avec une salle de bain salle partagée par les deux. Une chambre a un lit Queen, et la deuxième chambre a deux lits jumeaux. Chaque chambre dispose d'un placard et commodes et fenêtres donnant sur les jardins et la cour. Le grand salon au premier étage dispose d'une télévision par câble et d'Internet WiFi ainsi que d'une salle d'eau et un petit coin repas. La cuisine bien équipée propose appareils de taille complète, y compris les ustensiles de pots et des casseroles, de la porcelaine et couverts, et une machine à café Keurig instantanée avec des cafés et thés assortis cuisson. Dehors, vous pouvez profiter de votre propre cour privée avec des bois de la boîte paysagers, une fontaine bouillonnante et avec éclairage arbres crêpe myrte. Alors que vous pouvez facilement rejoindre à pied la plupart des magasins, des galeries, des restaurants et la vie nocturne, une côté de la rue place de parking est à votre disposition durant votre séjour. Se il vous plaît envoyer un courriel au propriétaire avec des demandes spéciales, nous ferons de notre mieux pour accueillir tous les besoins que vous pourriez avoir. We spent 5 wonderful nights at the carriage house. Our daughter was getting married and we loved the location and beautiful courtyard. There was plenty of room for her 3 bridesmaids to get ready and the photographer got some beautiful pictures outside. The house had everything we needed, and we could walk to all of the best restaurants and shops. Ruthie is a wonderful host and we will definitely be back! 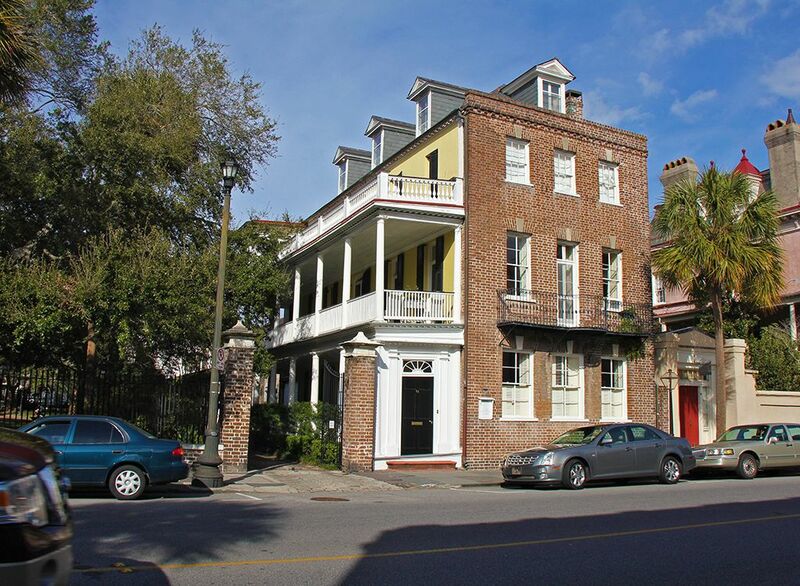 Amazing location and great accommodations for historic Charleston. Perfect for a family visit. The rental has a large and comfortable family room plus a well equiped kitchen. Spotless, charming, perfect location, going back! I am not a VRBO person. My husband talked me into this so we could share a house with friends. I was amazed. Located near everything, in Broad street, all amenities included- coffe, bath Soaps, hair dryer. The towels were huge and soft. The shower had great pressure and temperature. But I think my favorite part was sitting out on the private, brick patio. The history not only in Charleston, but at this house, is amazing. We will definitely go back. Great hosts. Fantastic location delivering all that Charleston has to offer. We’ve beeen guests at the Carriage House for six consecutive years. The hosts are warm and friendly, and provide every amenity a guest could want with a personal touch. A trip to Charleston wouldn’t be the same without the special character of the Carriage House to make it memorable. Very accommodating and perfect location! Super easy check in/out! This was our first time in Charleston and this house did not disappoint. From the moment we drove up we were in love with this carriage house. The location was perfect for us - we could easily walk to wonderful restaurants and through charming neighborhoods. The owner, Ruthie, could not have been more accommodating. She provided us with a wonderful guide which we used before and while we were there. We took her suggestions for the walks through the neighborhoods on our own. She was always available when help was needed or with suggestions. The home itself was lovely and the perfect size for us. My husband and I traveled with our son and his girlfriend. It was nice to be in such an old home that was modernized but in a way to keep it's southern charm. It is just as nice as the pictures portray. L'emplacement est fantastique dans le coeur du centre-ville de Charleston. Une porte loin des quatre coins du droit. Marcher à tout y compris les restaurants gastronomiques, antiquaires, galeries d'art, boutiques, salles de théâtre, vie nocturne, et bien plus encore! L'endroit parfait pour Spoleto USA et d'autres événements et festivals artistiques. Vivre la vie du centre-ville dans cette partie historique de la vieille ville fortifiée!